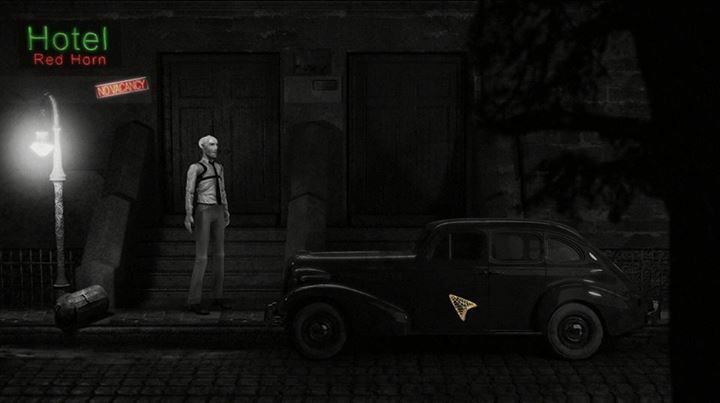 A new game from Quarantine Studios called NoseBound is inbound, and it's a unique looking title that combines some of the old-school noir charm from the black and white movie era, with a bit of the steampunk aesthetic to give it a very original feel. 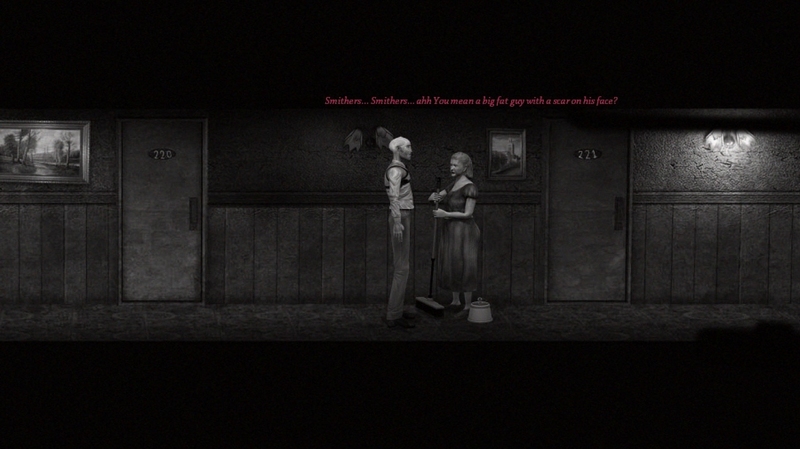 NoseBound puts players in the role of a detective who gets trapped up in a deadly and bizarre tale involving strange characters and – according to the description – “adult language”. I'm guessing this could be a grown-up version of Professor Layton meets the art direction of Jean Rabasse meets The Cat Lady. 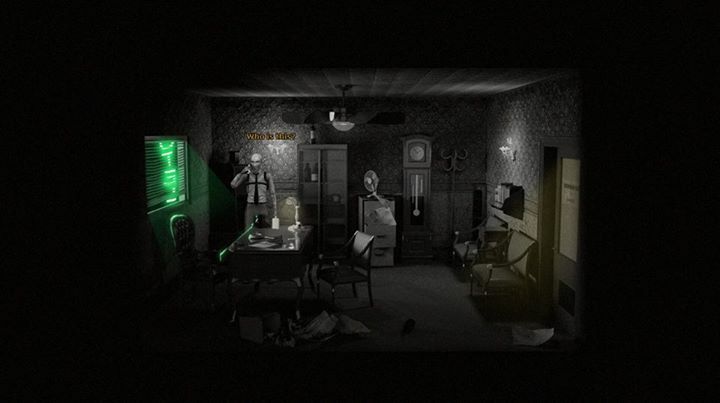 Players will embrace the role similar to the way they did in previous Sierra point-and-click adventure titles, and the game's moody atmosphere and noir palettes are bound to keep players nose-deep in the experience from start to finish... assuming Quarantine can keep the story momentum going. The game will be released in chapters like TellTale games, according to the Facebook page, and the screenshots are looking mighty fine, so far. We based the style and everything a lot from “The deep Sleep”, from Raymond Chandler, both the book and the movie. Double Indemnity was another great inspiration, we watched a lot of noir movies and literature actually to give life to Ray Hammond. Our, damaged by a dark past, private eye. 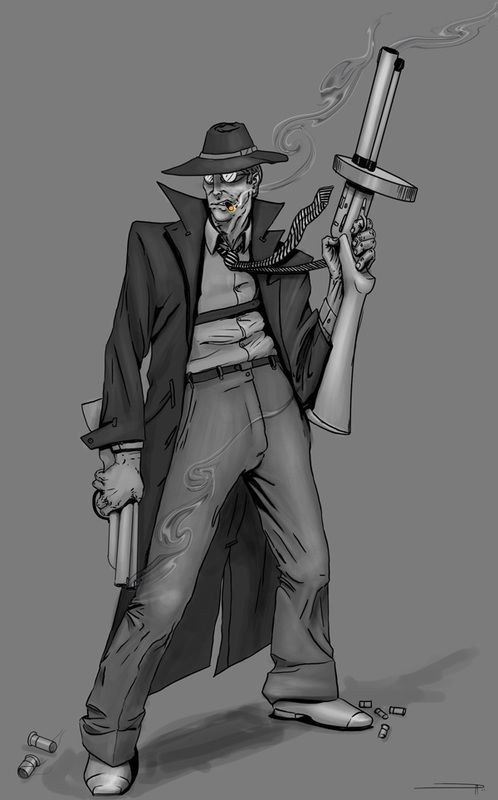 The game will also allow players to take on the role of multiple characters, including Ray's disappeared friend Smithy, the femme fatale Mrs. Kovacks. The Buenos Aires based development studio isn't new to the gaming arena, though, so it's likely that the game will have a moderate development cycle. Some of the studios' previous work includes Save the Pie and Beto's Nightmare, smaller titles for mobile devices. NoseBound could probably be considered their first big studio outing and I'm hoping they nail down the formula right because it could be a huge win for them. I'm most certainly excited to see more of this adventure title and the art-style has already won me over with its period-piece presentation and various uses of shades of gray. According to Quarantine's CEO, a teaser trailer is supposed to be inbound for the game soon, but for now we can rest easy at least knowing that the game is on the way. You can check out a few screenshots for the point-and-click adventure below or visit the official website to stay up-to-date on the game's progress. Alternatively, you can hit up the game's official Facebook page for more screenshots and concept art.